Amanda grew up attending Immanuel Lutheran Church in her hometown of Attleboro, Massachusetts where she first encountered the wonder of faith. 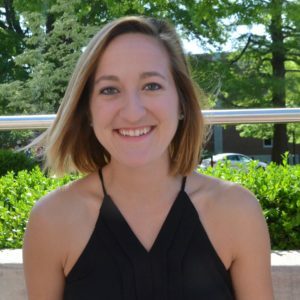 After attending Wheaton College (Norton, MA) where she majored in International Relations and German Studies, Amanda worked in development and public relations for a domestic and sexual violence agency in Southeastern Massachusetts. 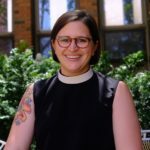 In the fall of 2010, following the 2009 ELCA Churchwide decision to allow openly LGBTQIA+ persons to serve as leaders of the church, Amanda moved across the country to attend Pacific Lutheran Theological Seminary in Berkeley, California (part of the Graduate Theological Union) to follow her call. On May 31st, 2015 Amanda was ordained into the Ministry of Word and Sacrament and called to serve as pastor of Faith Lutheran Church in East Hartford, Connecticut. 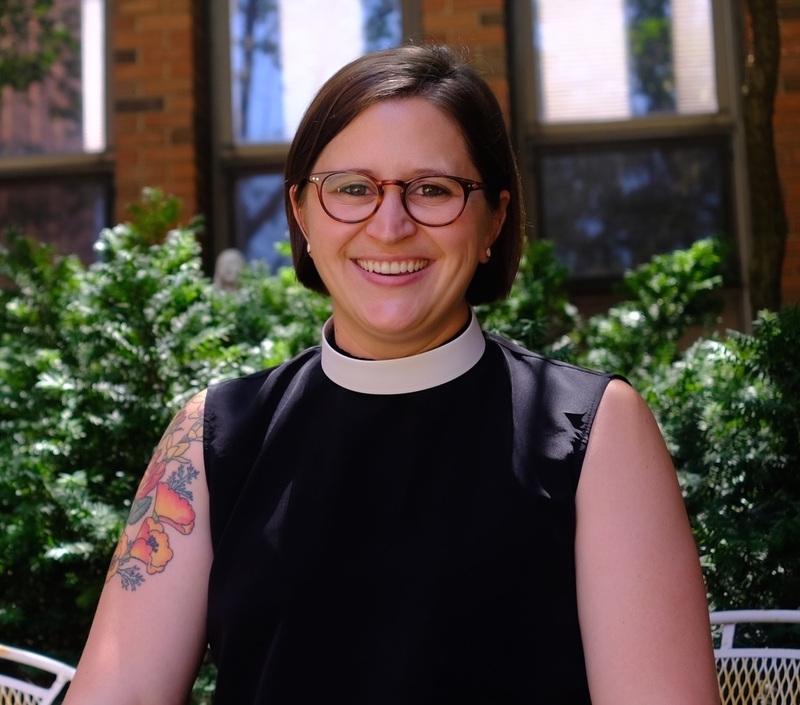 Amanda joined ELM as the Executive Director in the summer of 2017 having been an active volunteer and a member of Proclaim, the professional community for Lutheran pastors, rostered lay leaders, candidates, and seminarians who publicly identify as LGBTQIA+. Amanda resides in Portland, ME with her dog Cinna. Olivia is a Black queer feminist. They have an M.A. in Women and Gender Studies with an emphasis on queer theory and a B.A. in Comparative Women’s Studies with a concentration in Social Justice. Olivia is a budding filmmaker (focused in documentary) and their thesis project, entitled “Spirits Speak,” is an experimental documentary exploring queer temporality as it is demonstrated through ancestral/lineage projects (spiritual, archival and artistic). They have a background in organizing, administration in the university, and teaching. Raised in the Assemblies of God Christian church, they have since cobbled together several religious traditions that inform their own spiritual identity. 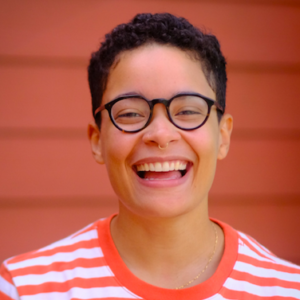 Olivia views faith in the Supernatural as crucial to their ability to move through this world that would seek to destroy their gender non-conforming, Black and queer body. They have an amazing and supportive partner, three younger siblings, and loving parents. 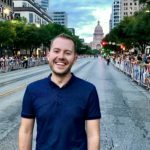 Vicar Lewis Eggleston is an Air Force spouse currently living in San Antonio, TX with his husband Mitchell and dog-child Carla. He attended seminary at Pacific School of Religion and Pacific Lutheran Theological Seminary in Berkeley, CA, and he is currently interning with Spirit of Joy Lutheran Church in Seguin, TX. He’s been an advocate for children’s access to the arts through both museum and symphony educational programming and has worked with homeless individuals and families for the past ten years. In his free time, he loves to attend musicals whilst fighting every urge to sing-along. Growing up Lutheran in Cary, IL, Hannah always felt a sense of attachment to her faith. However, as a teen attending church became a chore and she lost touch. Luckily, in college she stumbled upon the Christian Sorority Sigma Phi Lambda Sisters for the Lord. Phi Lamb helped re-establish her Lutheran faith by welcoming her with open arms and embodying the idea that our love for God binds us more than anything else. It was in a time of trial–the loss of a close friend–that her faith in Jesus forever rooted itself and has continued to guide her through life and now to ELM where she delights in being a cis, het ally to her siblings in Christ. Hannah is an avid rock climber and manages a small bouldering gym in Chicago. When she is not rock climbing or working, she is probably trapped on the couch under one or both of her cats, Pablo and Lana.